This year were are pleased to announce the Dwyrin will be attending the Go Congress and will host live professional commentaries on games in division 1. Dwyrin has his own YouTube channels and broadcast game commentaries and lessons to thousands of Go players around the world. 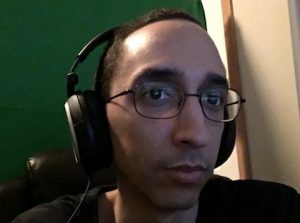 Dwyrin is an AGA amateur 5-dan Go player, Twitch streamer and Go content creator. Based in the US, he created one of the first English go channels and is best known for his “Basics series” showcasing the importance of direction of play and shape. Dwyrin has made a significant contribution by creating videos that are not only educational but also highly entertaining, his efforts to introduce and popularise Go with a new generation of players have proven very popular with players across Australian and around the world. Stephen’s leave of absence from his studies has been refused so he will not be at the 2018 Go Congress. Needless to say he and the organizing committee are very disappointed with this outcome but this is something outside of our control. Stephen is an amateur 6-dan Go player, Twitch streamer, and international community organizer. Born in Beijing, China, he currently studies in University of California, Santa Barbara (UCSB) and Technical University of Berlin as an exchange student. He has won various tournaments such as the San Francisco Jujo Cup (2017), Miami Go Championship (2016), and led UCSB school team towards winning the North American Collegiate Go League (2016-2017). Since late 2013, Stephen has been teaching and promoting the game in various parts of the world, including Australia, the U.S., Taiwan and southeast Asia. A moderator of Online Go Server (OGS) and current president of UCSB Go Club, he is also a popular streamer on Twitch and helped co-organize the “Twitch Plays Go” event in April 2018, which attracted up to 17,500 viewers at peak time, as one of the most-ever-watched Go broadcasts. 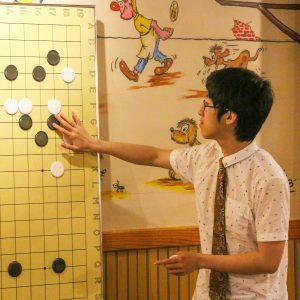 Stephen has been a co-organizer of the U.S. Go Congress for 3 consecutive years (2016-2018), a content creator for the World of Weiqi magazine & Chinese (Taiwan) Youth Wei-Chi Institute, and author of upcoming book “AlphaGo Wonderland: Reflections on the 50 Self-play Games”. He wishes to make a contribution to the Go community and hopes that more people will enjoy playing this game! Privacy Designed using Juxter. Powered by WordPress.